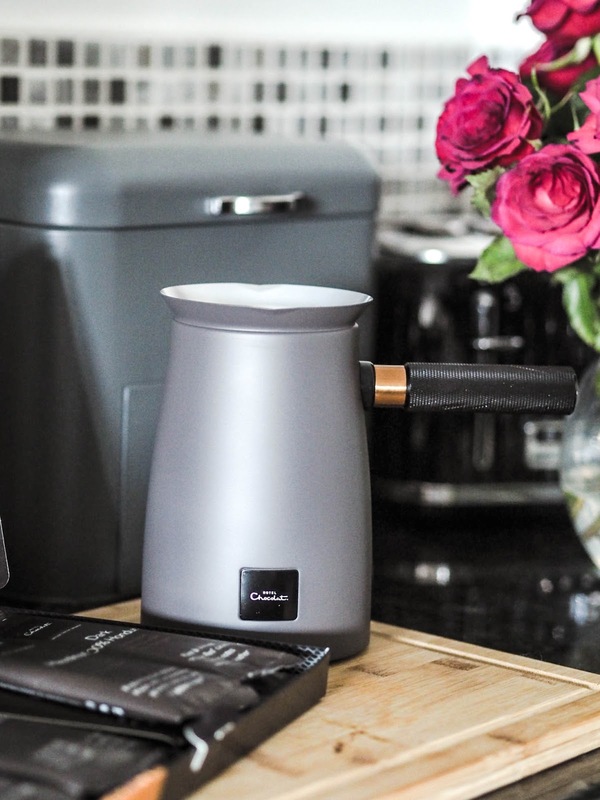 Hotel Chocolat's The Velvetiser; A Review. Hot chocolate addict? Yeah, me too. 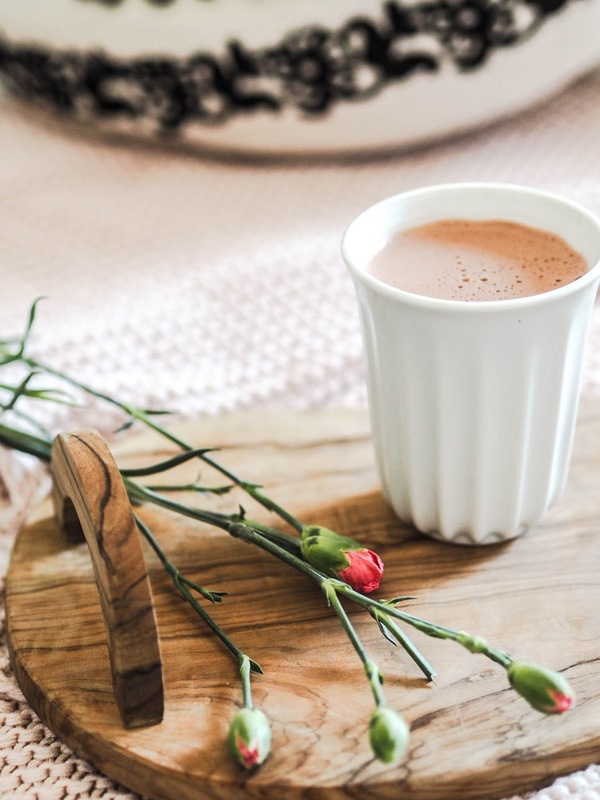 I honestly thought that since moving over to coconut milk I wouldn't be able to have this delicious drink anymore since the majority of supermarket hot chocolate's contain dairy powder, but that's where The Velvetiser comes in. Putting the whole thing together was amazingly easy, so is cleaning the product when you have finished using it too. I have to admit, it does look incredibly pretty just sat there on my kitchen worktop. But let's forget about all that, it's the taste you are probably all wondering about, right? And do you know what? It tastes exactly what you would find in store. I was so surprised. .. Thinking about it, I'm not sure why I'd be surprised though.. Of course they are going to use the same raw materials in store, so why should it taste any different? Duh! My go to drink is the 70% chocolate with coconut milk, and it was perfect. The milk was frothed to perfection, and it was at perfect drinking temperature straight after pouring. That being said; definitely not a fan of the 100% Mayan Red Honduras. Yeeesh! 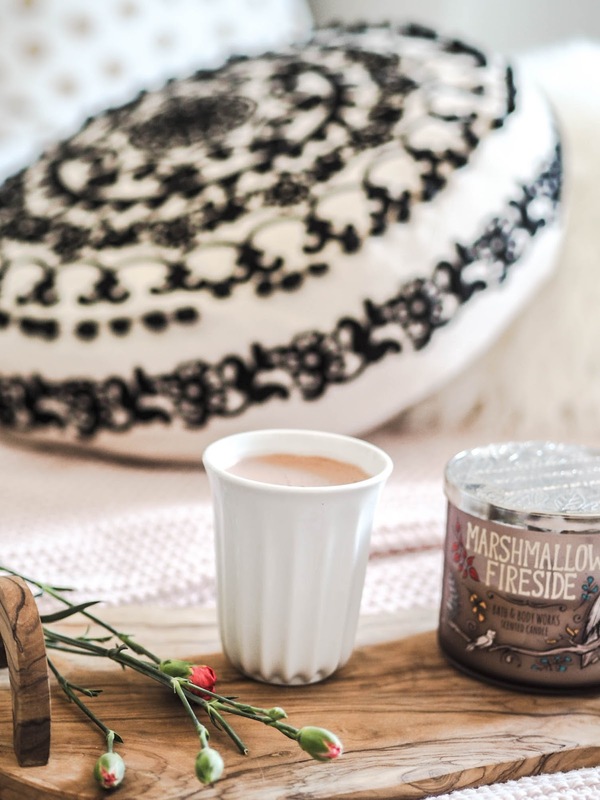 Yes, its expensive but you have to look at what you get: 2 perfectly sized mugs, a 10 pack of hot chocolate, the Velvetiser itself, and a voucher for more hot chocolates. I definitely didn't go into this purchase lightly, but with Valentine's day coming up I thought it was the perfect excuse. Also, if you are a massive Hotel Chocolat fan then money’s no object when it comes to chocolate, right? We always get one when we go into town which works out about £8 a pop. With the sachets averaging about £1.20 a go.. well, you do the maths. Eventually you will recoup your money.